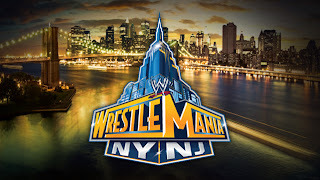 Confessions Of A Mindless Rebel: Wrestlemania 29 Preview! Coming up this Sunday April 7th 2013...WWE's largest pay-per-view showcase: Wrestlemania. This year marks the 29th anniversary and the 29th time the stakes are high for WWE Superstars on "The Grandest Stage Of Them All." Wade Barrett defends his title against The Miz during the interactive preshow. Fandango's finally making his debut at Wrestlemania. Both Chris Jericho and Fandango are battling it out after Fandango's continuously ambushed Jericho and Jericho simply "couldn't pronounce his name correctly." By the end of it all, will Fandango have made his debut a disaster? Or will Jericho have finally learnt to pronounce his name? After each of them trying to prove that they are stronger than the other, they are both put to the test in a match this Sunday. Who will come out of Wrestlemania victorious? Orton, Sheamus and Show join forces to take on "a common enemy" that is The Shield (Dean Ambrose, Roman Reigns and Seth Rollins). The Big Show has earned Sheamus' Trust after a harsh long-term feud involving the World Heavyweight Championship. Will The Big Show, Sheamus and Randy Orton work as a cohesive unit together to defeat their common enemy this Sunday? The Undertaker's 20-0 streak is on the cards once again. CM Punk has interrupted Undertaker countless times and has also stolen his sacred urn (for which people believe gives Taker his powers). Is CM Punk at an advantage? Will he get the better of The Undertaker and become the 1 in 20-1? Or will The Undertaker keep his streak in tact and go to 21-0? Team Hell No (Kane and Daniel Bryan) put their championships on the line against the team of Ziggler and Langston. This is the first official match we will see "The Powerhouse" Big E Langston in. Will Team Hell No prevail and get a victory over Dolph and Big E? Triple H was defeated by Lesnar last Summerslam. Eviscerating The Game's closest friends and family (more recently The Chairman Vince McMahon), Triple H "found a reason" to go head to head with Brock Lesnar once again this Sunday, only this time on a much larger scale: HHH's career has been put on the line. Will Triple H say goodbye to the WWE? Or will he get retribution over Lesnar? Their rivalry is brutal. As Swagger injured both Del Rio and his friend Ricardo Rodriguez, Swagger also had his mind set on Del Rio's championship. With Zeb Colter at ringside and the hopes of an all-new America, will "we the people" see a new World Heavyweight Champion? Or will Del Rio defend the championship successfully against his rival? After Cena won the Royal Rumble, he chose to fight for the WWE Championship, even though he didn't know if he would fight CM Punk (the reigning champion during the Royal Rumble), or The Rock (number 1 contender at the time). Punk lost the title to the Rock, thus meaning he would go on to face John Cena at the main event at this year's Wrestlemania. When they clash this time, who will win this bout? 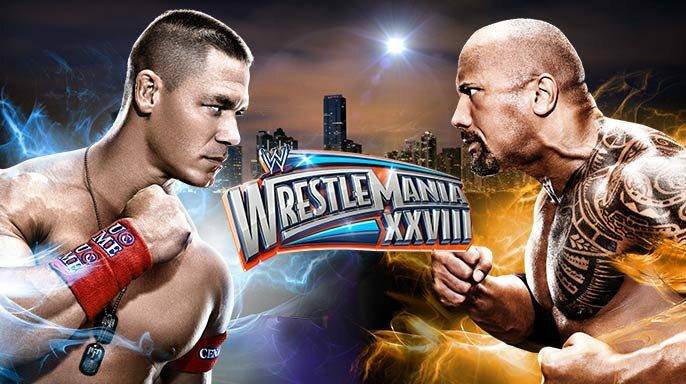 Will the odds be against Cena again, with Rock getting the victory? 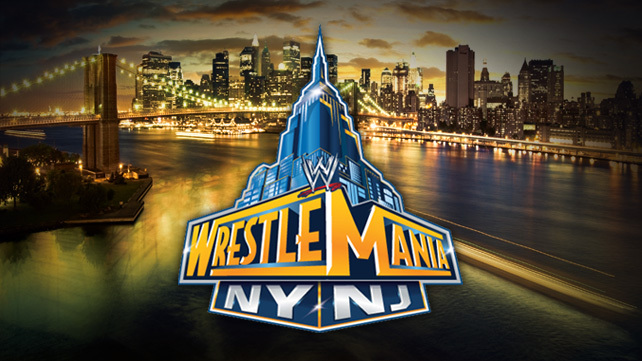 So, who do you think will win the matches at this year's Wrestlemania? Be sure to send in your comments on who you want to win!